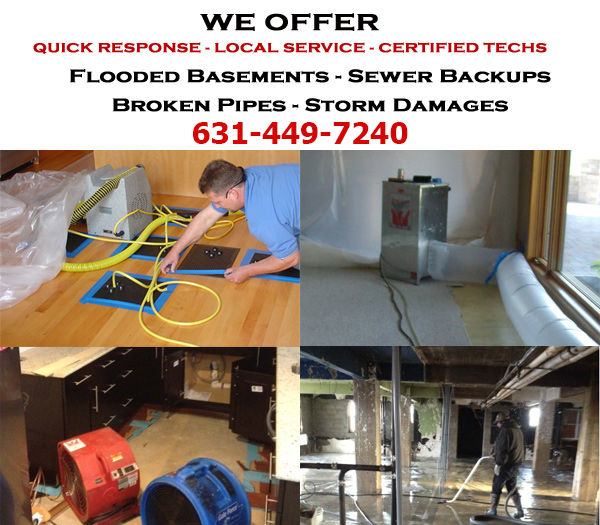 Suffering from water damage at your home or business in Selden, New York ? Our cleanup crews are on call 24/7 to respond to any size flood disaster. Our team of certified technicians can quickly extract water and begin drying your property from any type of unexpected water damage disasters. Call our emergency hotline at (631) 449-7240 for any type of water damage emergency and you will receive immediate assistance. Flooding of the home or business is unexpected and can be extremely stressful and saddening. 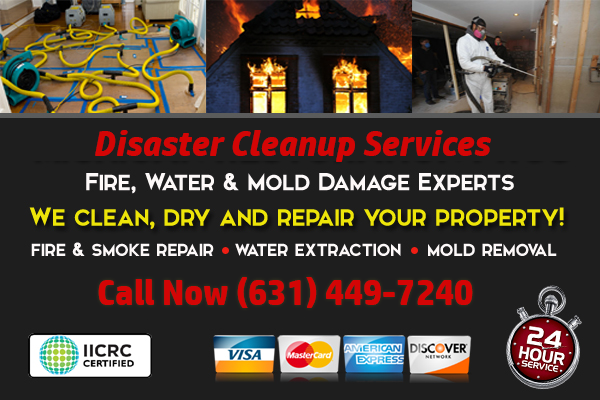 Here at the disaster cleanup and restoration pros of Long Island, we know that and want to help you restore your property, and your life after a loss. We provide full scale services from beginning to end. Our company is more than qualified to help you with your water damage issue, as we have years of experience in the field, as well as the proper equipment and manpower to handle either large or small scale water disasters. Our pre-loaded commercial vehicles are on-call 24 hours a day, 7 days a week, 365 days a year waiting for your call! We are available at all times because we know just how unexpected water damage can be. We provide restoration services due to water damage, fire damage, storm damage, and mold damage; we can tackle any size disaster! Whether your home has sustained major flooding damage or your business has a plumbing issue that resulted in water damage – New York Cleanup Pros is the company to call. After discovering water in your home it is of high importance to call quickly – this will ensure that you are properly taking care of the issue and it will not escalate to something much worse and costly, we can typically arrive within sixty minutes of your call, and our team has extensive experience working in Selden, New York with both commercial and residential property owners. Water damage can quickly take a turn for the worst if it is not taken care of quickly. If you wait too long to call a certified team of professionals, you will more than likely have to deal with issues of mold and mildew. Your first thought when finding water on your property is to clean it up on your own. While that does save some money and time, it is not always better. There can be damages present that can only be seen by a trained eye. Our technicians have gone through extensive training to be able to spot hidden damages that will cause more of a disaster in your home. They also are up to date on all industry standards, and licensed, bonded and insured.